years of leadership of corporations, communities, and people. His experience spans federal and state government, nonprofits, law firms, and corporations, where he earned a reputation as a business-savvy lawyer who is at home in the boardroom and in the trenches. Vaughn has been recognized for his ability to influence, motivate, and organize to achieve goals, and has been recruited as a straight-shooter and a big picture thinker. He is currently Managing Director and Vice President – Legal for a subsidiary of New Jersey’s largest energy holding company that he joined in 2006. 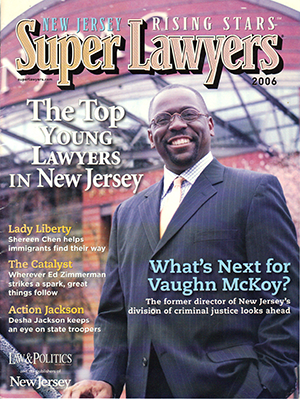 Vaughn also served as a federal prosecutor, one of New Jersey’s top state prosecutors and as a lawyer in private practice. He’s a graduate of Rutgers Law School, and Rutgers University—where he was a top scholar-athlete and played football all four years.